Juventus unveiled today their new third kit to face this year’s UEFA Champions League in the away games where their white/black home jersey could not be worn. The template is the same from Nike’s campaign involving their biggest contracts in Europe, seen for the first time some weeks ago with Manchester United. 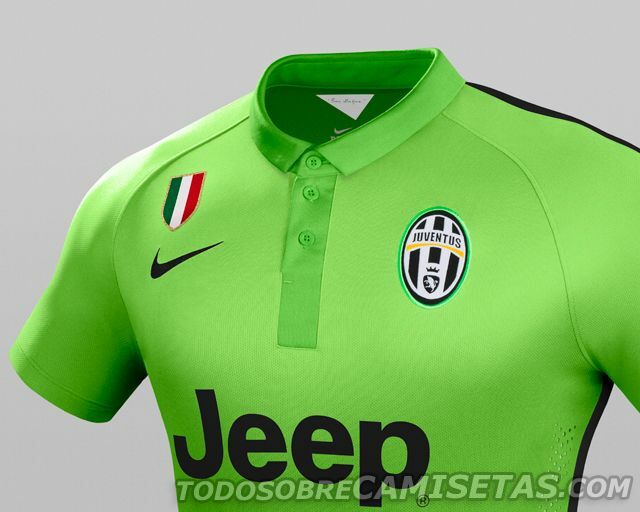 The colors for “La Vechia Signora” are two tones of light green combined with black elements on the sides. 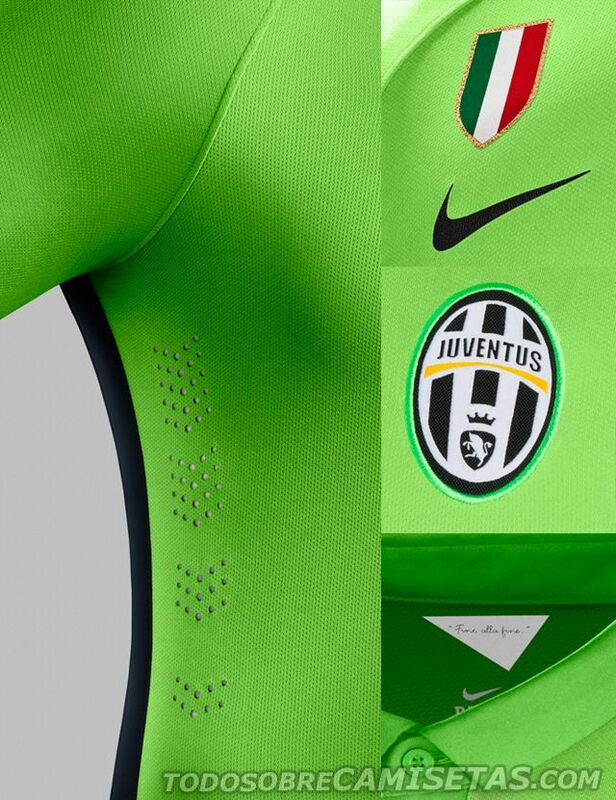 The Scudetto appears over Nike’s swoosh, while the inner neck features the motto “Fino alla fine” on a white pendant. What are your thoughts on this shirt? Is it a good combination for the Italian champions?